This was the first of my weekend projects. The wind howled around the house, the rain poured down, causing a mini flood at the end of our street and the lightening lit up the sky like fireworks. Inside, I stayed cozy and dry and slowly began to cut up the first felt pieces of a project I have started for a little someone. Part of her Christmas gift this year, will be a little menagerie of animals to play with. Stay tuned, there is more to come! This entry was posted in Crafting and tagged christmas, craft, felt, happiness, project, sewing on October 20, 2013 by jennifermichie. 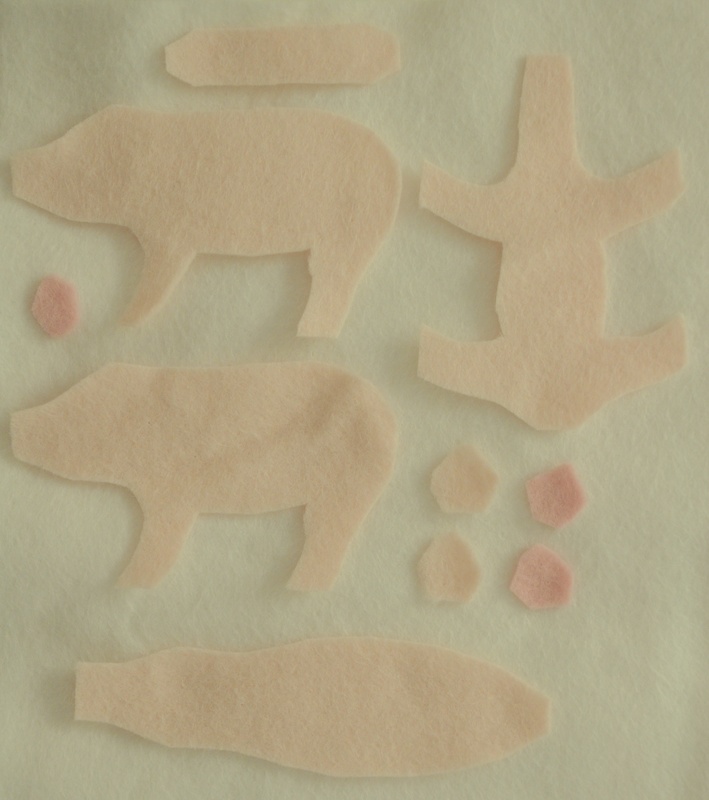 The little piggy turned out so cute!!!!!!!!!!!!!! You did a great job….what details! Thanks! I had so much fun making her. I am working on a little pony at the moment, but I think this pig might need another little piggie buddy!